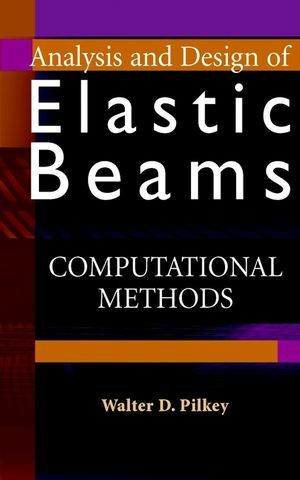 Analysis and Design of Elastic Beams presents computer models and applications related to thin-walled beams such as those used in mechanical and aerospace designs, where thin, lightweight structures with high strength are needed. This book will enable readers to compute the cross-sectional properties of individual beams with arbitrary cross-sectional shapes, to apply a general-purpose computer analysis of a complete structure to determine the forces and moments in the individual members, and to use a unified approach for calculating the normal and shear stresses, as well as deflections, for those members' cross sections. Including access to an associated Web site with software for the analysis and design of any cross-sectional shape, Analysis and Design of Elastic Beams: Computational Methods is an essential reference for mechanical, aerospace, and civil engineers and designers working in the automotive, ship, and aerospace industries in product and process design, machine design, structural design, and design optimization, as well as students and researchers in these areas. WALTER D. PILKEY is the Morse Professor of Engineering at the University of Virginia. He is the author or coauthor of numerous articles and books, including Formulas for Stress, Strain, and Structural Matrices and Peterson's Stress Concentration Factors, Second Edition, both published by Wiley. Finite Elements for Cross-Sectional Analysis. Beams Under Transverse Shear Loads. Shape Optimization of Thin-Walled Sections. Appendix A: Using the Computer Programs. View the author's Companion Site.